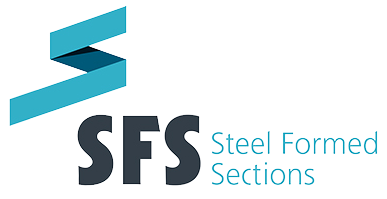 Steel Formed Sections are a market leader in both the UK and Ireland in the production and manufacturing of Framing Systems. Our systems are designed to provide cladding support, either inside or outside the structural frame, on commercial, industrial, healthcare, educational and residential buildings. 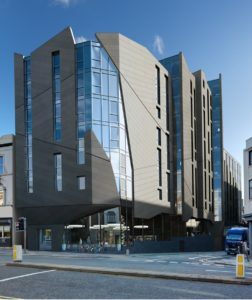 The systems can be installed with self-tapping fixtures, that enable external cladding to be attached very speedily, allowing internal construction to start. Our sections can be supplied ready to assemble on-site. Our state of the art 25,000 square foot production plant gives us the capacity to cater for all our client requirements and it facilitates speedy production and a quick turnaround time. We continue to invest in the latest technology at the facility, recently adding new rolling equipment which gives us excellent flexibility in production – our customers can be supplied with a wide range of sections from 70 – 300mm and 0.5 to 3mm in gauge thickness. When beginning a new project our preference is to work with your design team at the earliest possible stage in the process, allowing us to add value, sharing our expert technical knowledge to find the most appropriate and cost-effective solution. We provide technical support and the documentation needed to ensure the installation process runs smoothly. We recommend to clients that the framing system be installed by a sub-contractor that has the right expertise and experience – we can help identify appropriate sub-contractors if required. If you require expert advice on a Steel Framing System – contact us. We look forward to your call.